You may be interested in epoxy flooring, and it may seem easy to apply yourself. However, a professional flooring specialist can better assess the state of your floor to ensure that the application does not turn into a large mess. There are many factors that affect whether an epoxy floor will work in your garage and if so, the prep work that needs to happen before it is applied. 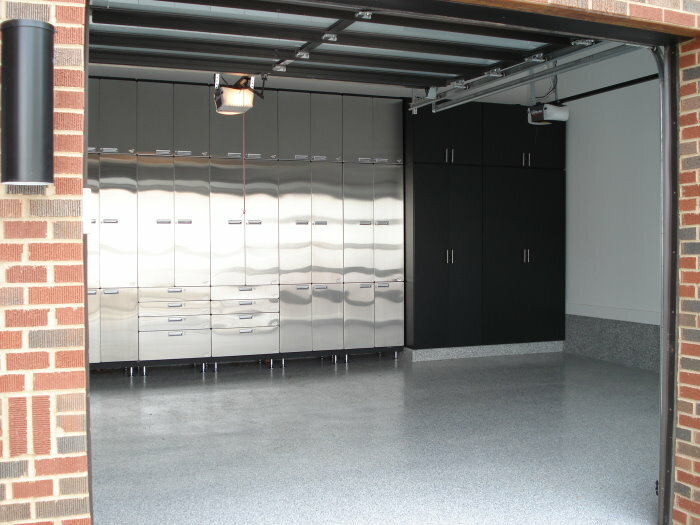 First, your flooring expert will help you decide if your garage floor is suitable for an epoxy coating. Epoxy will not bond to surfaces that are wet, so if your concrete floor produces water, this type of coating is not right for your garage. It is also unlikely that the epoxy will adhere to your floor if it already has another type of coating. Having someone to help you assess whether an epoxy floor is even possible can save you a lot of time and aggravation. If your garage floor is a good candidate for epoxy flooring, there are probably some steps that need to be taken before the first coat can be applied. Your floor will need to be as clean as possible. You don’t want to trap dust or oil beneath the coating, and it may not bond as well if soiling is excessive. It is also a good idea to examine your floor for any cracks or uneven spots. A trained professional who has experience spotting these inconsistencies can help you get your floor ready so that the epoxy coating goes on smoothly. Epoxy is a great surface for your garage floors. It is durable and easy to clean, and its initial shine does not dull with age. You will probably love the way they look and last. By consulting a professional to advise and help prep your garage for epoxy flooring, you can ensure that the job is done efficiently and correctly.